Hernando attorney Christopher E. Kittell is an experienced trial lawyer who practices law at the Kittell Law Firm in Hernando, Mississippi. He received his BBA in Computer Information Systems from Delta State University in 1996 and his JD from the University of Mississippi School of Law in 1999. Chris received the prestigious James O. Eastland Scholarship to attend law school and was a member of the International Legal Fraternity of Phi Delta Phi while attending law school at Ole Miss. Chris is happily married to his wife Jennifer and is the proud father of three children. Hernando attorney Christopher E. Kittell practices primarily in the area of civil litigation, including the areas of consumer protection, Fair Credit Reporting Act (“FCRA”) litigation, personal injury (both plaintiff and defense), Fair Debt Collection Practices Act (“FDCPA”) lawusits, Telephone Consumer Protection Act (“TCPA”) litigation and wrongful death cases. Chris also represents clients regarding various family law issues, such as adoptions, drafting and probating wills, the administration of estates, conservatorships, will contests and real estate disputes, as well as criminal law matters such as DUI charges. 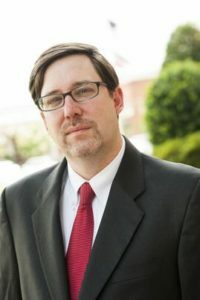 Hernando attorney Christopher Kittell is licensed to practice law in all courts in the State of Mississippi, including the Mississippi Supreme Court, all Mississippi Circuit and Chancery Courts, and the United States District Courts for the Northern and Southern Districts of Mississippi. He is also licensed to practice in the United States Court of Appeals for the Fifth Circuit and the United States Court of Appeals for the Eleventh Circuit, and is also admitted to practice in the United States District Courts for the District of Colorado, the Western District of Michigan and the Western District of Tennessee. Kittell’s trial experience and reputation has garnered him multiple honors. He was named to the impressive Nation’s Top One Percent list by the National Association of Distinguished Counsel in 2015 and received the Client’s Choice Award from Avvo in 2014. He was named one of the Top 10 attorneys in Mississippi by the National Academy of Personal Injury Attorneys in 2013 and was given the top attorney ranking of “AV” by Martindale Hubbell in 2014 and every year since. He was named to the National Trial Lawyers’ list of Top 40 under 40 Trial Lawyers in Mississippi in 2012. He has also been named a “Rising Star” by Mid South Super Lawyers magazine for 2010 through 2013. Hernando attorney Christopher Kittell is a member of the Mississippi Bar. He is a former member of the Coahoma County Bar Association where he formerly served as President. He is also a member of the Mississippi Association for Justice and the National Association of Consumer Advocates. Chris has received nationwide notoriety for his practice regarding the FCRA. Chris was involved in a $4.47 million verdict against Trans Union, at the time the largest verdict against a credit bureau. Chris represents consumers in FCRA cases across the nation and is often associated by lawyers around the country less familiar with the inner workings of the credit reporting industry. Chris has represented consumers in FCRA litigation in more states than he hasn’t. Chris also obtained a $2,273,000.00 verdict for a plaintiff in a slip and fall case in the Circuit Court of DeSoto County, Mississippi in August, 2006, which is believed to be the largest personal injury verdict to date in DeSoto County, Mississippi. Chris has also enjoyed lecturing to both current and future lawyers, including speaking at local Continuing Legal Education seminars in Mississippi, lecturing for consumer law classes at the University of Mississippi School of Law, and lecturing multiple times at the National Association of Consumer Advocates’ FCRA Conferences and has served on the Conference’s steering committee since 2004. Chris has written articles regarding his practice in the area of the FCRA, which have been published in The Consumer Advocate, the national publication of the National Association of Consumer Advocates.